here we are, it’s the last day of the year! I’m sure everyone (including me) is thrilled and busy with the preparation for this special evening of the year. So, first of all I would like to thank you in advance for checking out my blog on your busiest day of 2013, and for following and support me at all, it means a lot to me. 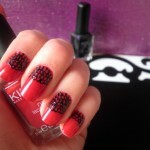 In this post I’m sharing the nail art that I will be wearing tonight for the New Year’s Eve party. 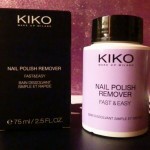 It’s a nail polish from Kiko, the base is a dark color between Purple and Blue. Then I applied the silver to the base of my nails and in the end I applied the “Sparkle Touch” from Kiko as well. Che brava! 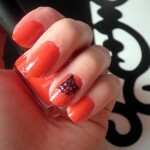 Io con lo smalto sono un disastro! Comunque l’effetto è bellissimo! Grazie!!! 😀 Volevo dare luminosità alla base delle unghie, non so se si vede bene nelle foto…sono sicura che non sei un disastro come dici!!! 😉 Bacioni! !